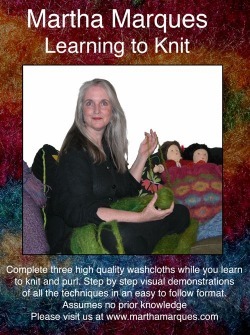 Learning to Knit DVD available on Amazon! I am very thrilled with it....it's so official and serious looking....sort of like seeing your son in a suit for the first time. A few words about what is, and isn't, coming with the DVD. I keep referring to a kit.....which Amazon won't be selling. These are the items that are in the kit.